I’m doing a little upgrading and sorting on my website. Working out what I should be adding on and taking off. Do I have more or less Collections (galleries), do I stock lots of bigger, more expensive items, or do I do keep it as is and add in the smaller add-ons, the accessories, like bookmarks and hair slides? I’m working on a page fo rmy re-made items. I’ve done so many but taken so few pictures. 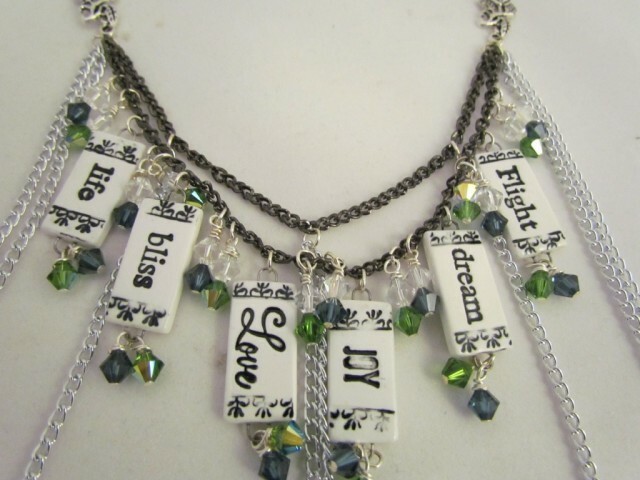 I am happy to re-make and re-fashion items, or if you have a bag of beads, make something completely new for you. Items that are sentimental or broken, can’t throw them away – I can help you. Re purpose them into something new and funky, or add a few new items and fix it up. I love the website, it’s clean and neat. Nothing too flowery and over the top. Nothing gets in the way of crisp (for the most part) photos and clean lines. All in pink, black and white. 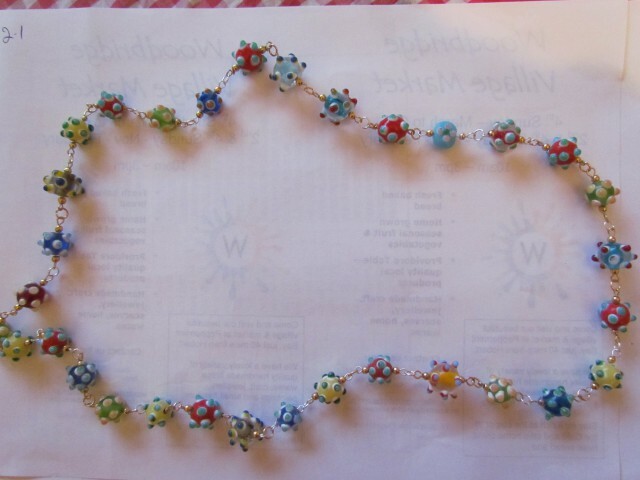 I bought some pearls at the Craft Fair on Saturday with a few ideas of what to make. Something to go with the pearl necklace a friend gave to me to fix and then keep. Plus some scarf bails which I’ll make assorted dangles for so they are interchangable for the multitude of scarves I have. That is about it for today, I have to go for my run and then, although the sun is shining out there (winter, where are you?) get back into inside jobs. Like sorting market boxes form yesterday and the tidy and making thigns on my desk. More computer work can wait til the evening when it is too cold to use my hands properly. A picture of something pretty to finish with, coz I like to add pictures to my posts. Fitted Tablecloth – I must be mad! Today I finally got around to making some fitted tablecloths. I’ve wanted some since, well, a long time ago but never really did anything about it. I want tell you where to find the instructions, there are oodles on the Internet depending on what style of table you have and how fitted the cloth should be. I tried to make a go of it myself, but it wasn’t going to work the way I wanted it to, so I checked out google and found a pattern. 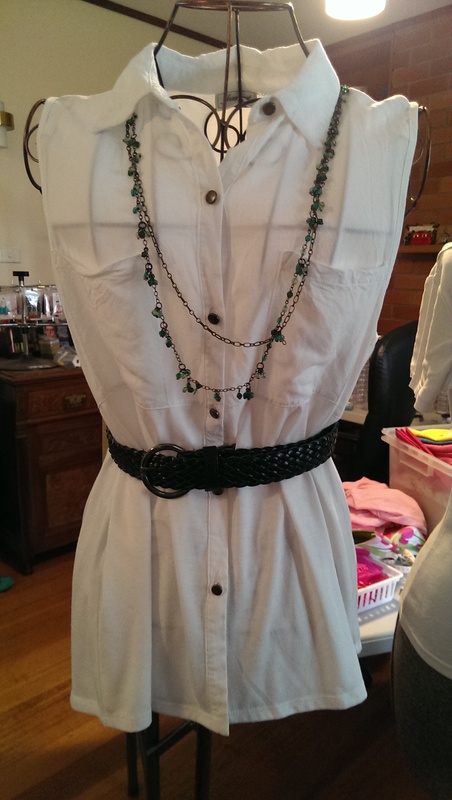 Basically, the idea is to cut a piece the size of your table top + hem allowance, and a long piece for the skirt. This skirt is then gathered at the corners to make a nice pleat. 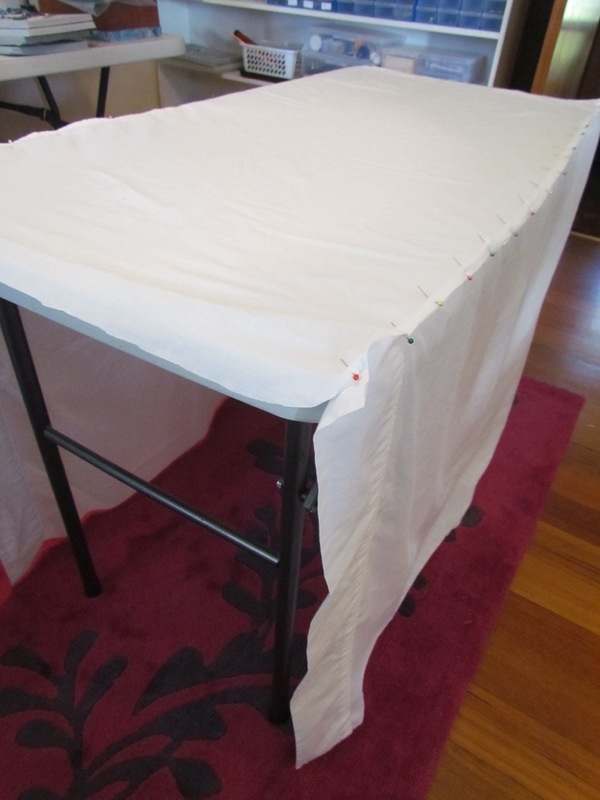 I decided not to do it that way as I was using bed sheets and didn’t have the length or quantity to do it – I cut a separate piece for each side and end. The small table half way done. 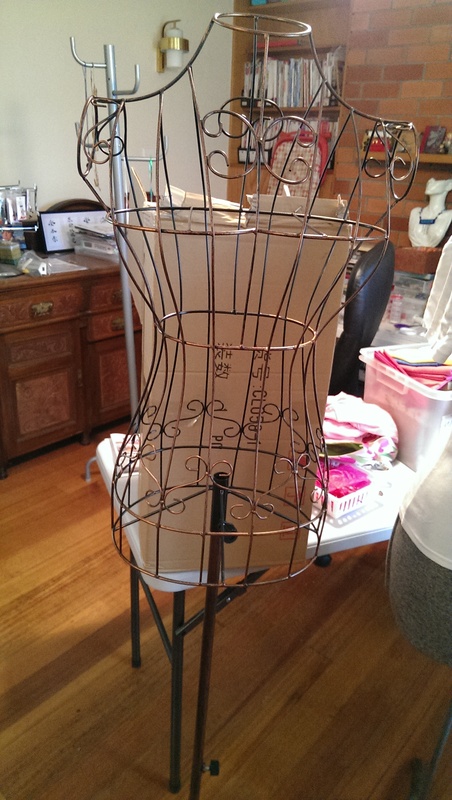 Pinned, test, sew, test…. While not perfect, they certainly look better than having corners dragging on the floor or tucked up and being chunky on the sides. 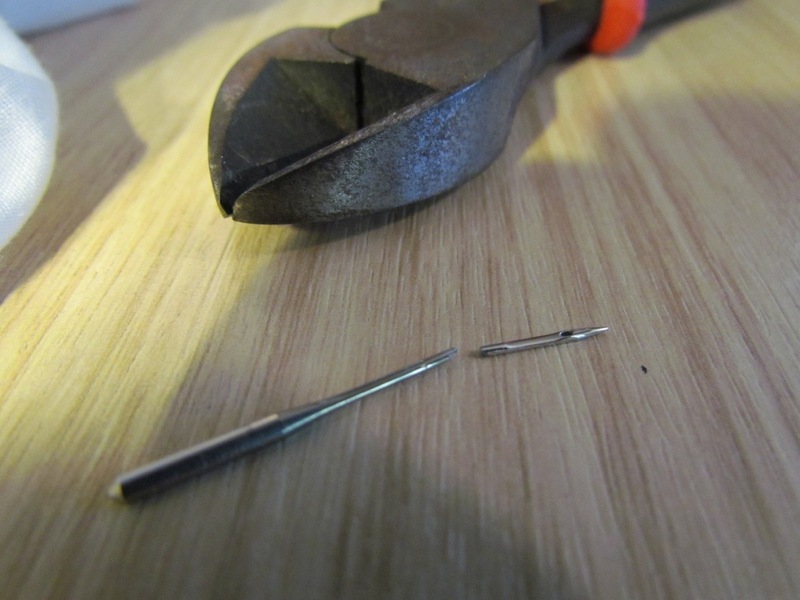 All went well until the needle got stuck and the only way to rescue it was to break it. I really don’t like having to do this, even though they are pretty cheap to buy. Thank goodness for heavy duty wire cutters. Back into it and around 2 hours later (from start to finish), exhausted, I have my fitted cloth. For the small table! There is still the full size one to go. I have lunch, and scrape out the freezer – what better time to defrost it than while I have the house to myself and am busy – then get back into cutting the second one. This was slightly quicker in that I knew what I was doing. 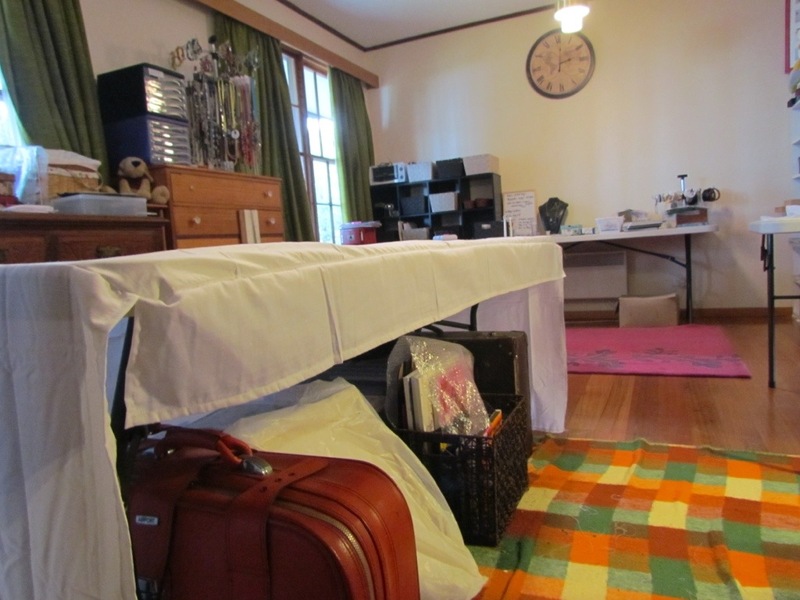 Each cloth was on the table, off the table, pinned, sewn, on the table, check shape and length, off the table, pins and sewn…. 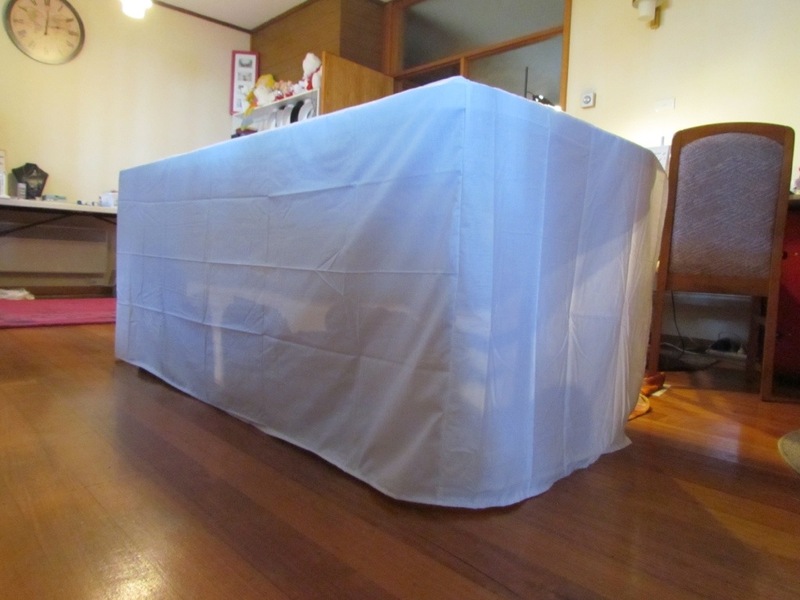 The small table cloth is a fully enclosed one. It usually sits next to my big table at markets but if I am going to have a table on its own, it would be this one. The large table is only skirted on three sides – one side for easy access during markets – but I will make a couple of fully skirted ones for other markets and situations. 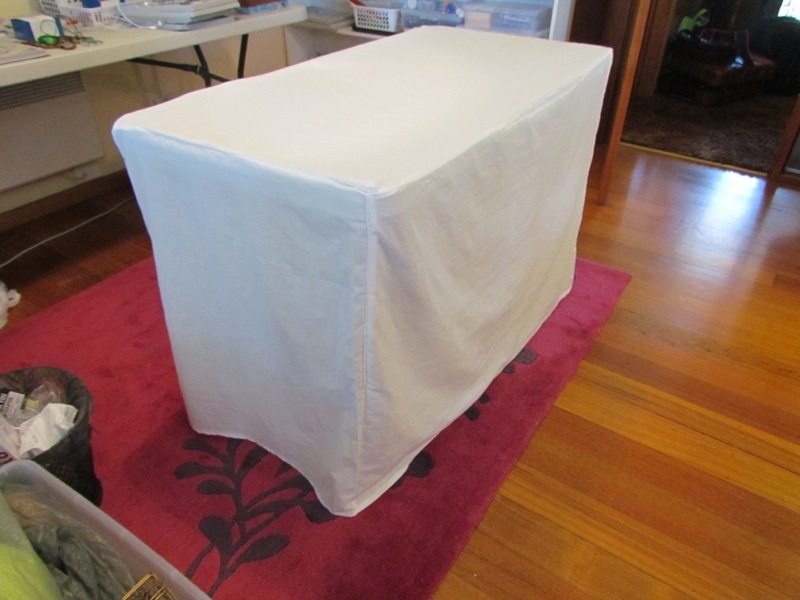 A good queen size sheet made the large table cloth and would make a fully skirted one as well, and only cost $13. Not bad for a couple of hours. And the large table, 3/4 covered. The corners are a bit wonky here, but I didn’t cut enough for this overhang. It won’t be seen so I’m not too worried. This weekend is my next market and I will post pictures to show you what it looks like all dressed and accessorised.